While this experience can certainly present its own set of challenges, being stationed overseas is an excellent opportunity for you and your family to explore a new culture. After Germany, Italy is one of the most common overseas duty stations for military families. Whether you’re Army, Air Force, or Navy, just outside the gates of your base, you’ll find a wide variety of exciting, educational, and just-plain-fun opportunities to explore. A word of caution: Before enjoying any of these Italian activities, be aware of the differences in transportation laws, cultural behaviors, history, traditions, and regulations. It’s a good idea to check with your local base for information on the area, and what you can do to keep your family safe and compliant. If you’re stationed in Vincenza, Venice is a short (about 1.5-hours) train ride away. This famous city is the capital of northern Italy’s Veneto region. Venice itself is built on more than 100 small islands in the Adriatic Sea, which makes the local “roadways” a series of canals, with boats instead of cars weaving through statuesque buildings. Venice is a great weekend cultural spot or a romantic getaway with your spouse. 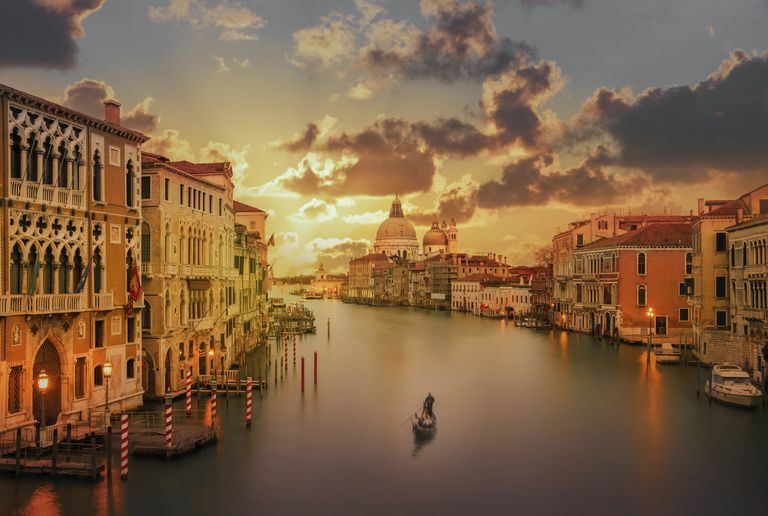 Visit St. Mark’s Basilica, or catch a show at the Teatro de Fenice, the famous opera house. For a more kid-friendly option, check out one of the gelato shops and take a tour of the Doge’s Palace, which features suits of armor and plenty of medieval mystery. Italy is known for its fantastic food, fashion, and wine. You can find local open-air markets where vendors sell produce, flowers, clothes, and other goods. Visit your base’s website for information on markets that are close by. Or just get out there and start exploring. Shopping for food is also a great opportunity to learn the local language! Break out your copy “Italian for Dummies” and get to know the community around you. Tuscany, another land of amazing wine and food, is a few short hours from a number of military bases. Florence is also nearby and well known for its wines (and, of course, for the winery tours). Expand your knowledge of wine in the area. Get to know the history of Chianti, right from the source! There are many tours available for travelers, but it’s best to do your research and plan ahead for the best tours. Of course, while it Italy, Rome is a top tourist spot. Nearly just over 3 hours by train from Vincenza, Rome is the capital of Italy and home to many historical sites. Tour the Colosseum and the Sistine Chapel. Visit the Spanish Steps, or enjoy one of the many restaurants in the city. Traveling with kids? Visit the Trevi Fountain and make a wish by tossing your coin into the pool. Rome also has a great selection of gelato-tasting cafes, a sure-fire hit with young kids. In addition to wine, Italy is also a high producer of quality olive oils. From Venice to Sicily, you can find tasting tours throughout the country. This is a great opportunity to see how the industry has changed from traditional processing methods to newer, high-tech practices. The best part of these tours? You get to taste-test the product, and order bottles to take home and try in your own cooking! Delizioso! If you’re looking to add a little sophistication to your home décor, make the most of your time in Italy by visiting the local antique markets. Here you’ll find clothing, furniture, art, household goods and more. If you’re stationed at Aviano Air Base, you’re very close to the Square of Aviano, home to a local flea market with about 200 vendors, which takes place on the first Sunday of every month. You never know what you might find! Milan is located only about two hours outside of Vincenza. It’s a city known around the world as a fashion hub. If you’re looking to get your retail therapy, this is a great city to visit! Of course, Milan offers much more than just world-class shopping. Visitors can tour the variety of architectural marvels, museums, and even see Leonardo Da Vinci’s on display. For more kid-oriented options, visit the Aquario Civico, established for the World Expo in 1906. If you love castles, Soave is the place for you! Close to Venice and easily accessible by multiple bases, Soave is a small town in the Veneto region of Italy. From the ancient walls of Soave to Scaliger Palace, this quiet town is steeped in history dating back as far as the early Roman rule. Italy is famous for festivals, each with its own history and unique eccentricities. For example, the Festa della Sensa is a popular festival in Venice. The event includes a water parade, rowing competitions, and an open market. Also close to U.S. military bases are the ​Medieval Festival and a myriad of food festivals. One of the benefits of living on a peninsula like Italy is the variety of beaches your family can choose from! Jesolo beach is a great option for a family trip. Complete with playgrounds and an annual International Sand Sculpture Festival! Lignano Beach is another great option. It’s actually made up of three different beaches: Lignano Sabbiadoro, Lignano Pineta, and Lignano Riviera. The area also features an amusement park and an aqua park for families looking for a weekend activity.